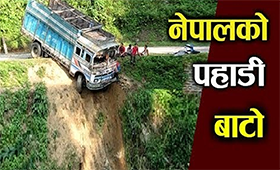 The government of India has approved 16 road projects, including a bridge over the Mahakali river in the far-western region, in Nepal. The new projects under India’s financial assistance will be carried out under Indian government’s third Line of Credit. The projects were agreed upon on Wednesday during the Fifth Bilateral Line of Credit Review Meeting between the governments of India and Nepal in Kathmandu.